LONDON, April 16, 2018	(Newswire.com) - The ERC 20 standard Tratok usage token has been successfully created and distributed in line with the project's outlined plan and vision. The Tratok token is a unique token which will be used on the Tratok Travel application to make bookings for travel and tourism services. The publicly available smart contract has been tested for efficiency, ensuring low transaction fees and transparent code, fitting in with the project’s philosophy of openness and efficiency. 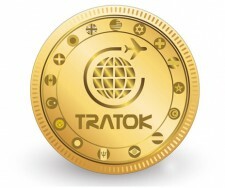 Rather than raise funds through a coin offering, the team behind the Tratok Project have a clear and transparent method of token allocation to ensure widespread adoption of the token. 50 percent (50 billion) will be kept in the company war chest and gradually released over one exclusive exchange over a two-year period. 20 percent (20 billion) will be distributed among the development team, of which 30 percent (6 billion) has a 12-month no-sell clause and 50 percent (10 billion) has a 24-month no-sell clause. 10 percent (10 billion) will be distributed among the board of advisors, with a 24-month no-sell clause. 10 percent (10 billion) will be held back and be equally divided among the first one million users who sign up for the application to help incentivise widespread adoption of the program. 7.5 percent (7.5 billion) will be given to partner companies to facilitate widespread adoption of the token. 2.5 percent (2.5 billion) will be given to schools as part of the project’s social responsibility program and attempts to encourage cultural exchanges between international schools. With this method of distribution, the project ties team compensation to the long-term success of the project gives incentives to the public to use the travel application and ensures that the token can be gradually adopted by all members of the public, preventing hoarding and reducing speculation induced volatility.